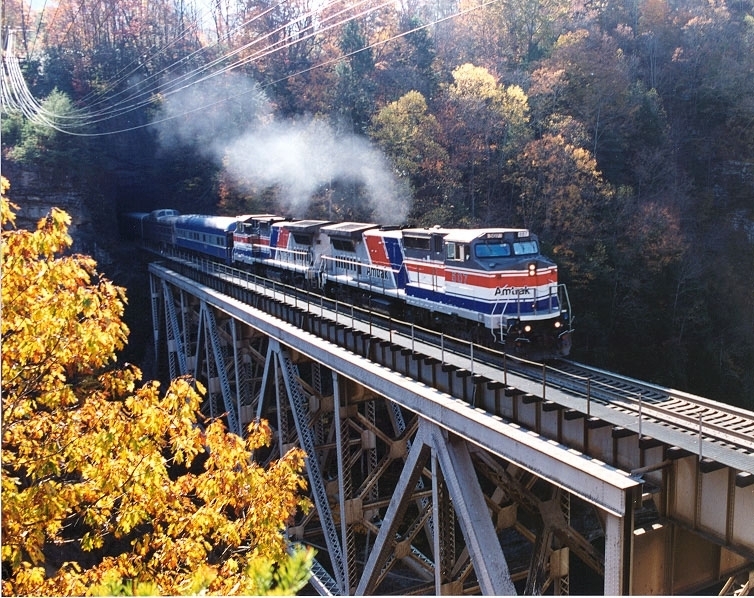 Autumn Leaf Train Excursions Through The Mountains Of NC, SC, VA & GA! A vintage train will ride the rails through Virginia, North Carolina, South Carolina and Georgia October 29 & 30 on its Appalachian Region tour. People from all over will have a chance to see and even ride this historic train. Our grand parents have ridden many of these restored passenger cars during the 1950’s and 60’s. This will be a train that the hole family will want to come out to ride and see. The North Carolina Transportation Museum Foundation and the Watauga Valley Chapter of the National Railway Historical Society will host two day trip excursions to Roanoke, Va. and Toccoa, Ga. this fall. These trips allow passengers great views of the fall colors combined with the romance of riding the rails to a great destination. If you want to see the Appalachian Mountains at their peak of beauty, these trips are for you. Now in their fifth year, the Virginia Autumn Special will travel to Roanoke, Va. Oct 29. The Georgia Autumn Special features a day trip to Toccoa, Ga. Oct. 30. While Roanoke was a destination for last year’s excursions, Toccoa is a new location and an exciting opportunity for those who take the trips each year. Saturday’s Virginia Autumn Special departs from the N.C. Transportation Museum in Spencer at 7 a.m. with additional passenger pick-up at the Greensboro Amtrak Station at 8 a.m. The train will travel through the northern portion of the North Carolina Piedmont, including the cities of High Point and Reidsville, before crossing into Virginia. The western part of central Virginia offers spectacular views of the fall foliage, crossing the Dan and Roanoke Rivers. Moving onto the old Virginian Railway line, the train will pass through the towns of Huddleston, Moneda and Goodview, traveling through four tunnels. Passengers will also enjoy traveling over trestles that provide views of the tributaries into Smith Mountain Lake. Arriving in Roanoke, the “Star City of the South,” at noon, the train will pass by the historic Roanoke Shops, where Norfolk Southern built their classic steam engines. Passengers will debark at the restored Norfolk & Western Passenger station, home to the O. Winston Link Museum. Passengers can enjoy downtown Roanoke or visit the museum, home to Link’s beautiful photography of 1950s-era steam locomotives. Advance tickets to the museum are available to excursion passengers at the discounted group rate of $4 per person. Departing at 2:45 p.m., the Virginia Autumn Special will return to Greensboro at 6:30 p.m. and Spencer at 8 p.m.
Sunday, the Georgia Autumn Special will also depart from the N.C. Transportation Museum at 7:00 am with additional stop/pickup at the Spartanburg, SC Amtrak station at 9:00 am and will traverse what was once Southern Railway’s main line, running from Washington, D.C. to Atlanta, Ga. Passengers will enjoy the gala fall colors of Carolinas’ rolling foothills, before crossing the 100-foot Seneca River trestle spanning Lake Hartwell to arrive at Toccoa. Nestled into the foothills of the Southern Appalachian Mountains, the historic town will be bustling with activity during the 29th annual Harvest Festival. Passengers will have approximately three hours to enjoy the festival, which features handmade, handcrafted and home-grown items from more than 200 vendors, as well as delicious regional foods, great entertainment on two stages, children and youth activities, buggy rides and much more. Toccoa Falls, named for the Cherokee word “Toccoah” meaning beautiful, is a must see.Located on the campus of Toccoa College, the 186-foot falls are 26 feet taller than Niagara Falls. Shuttle buses will be making a continuous loop between downtown Toccoa and Toccoa Falls. Departing Toccoa at 3 p.m., the Georgia Autumn Special will return to Spartanburg, SC at 5:45 pm and back to Spencer, NC at 8 p.m. Tourist Class seating features the convenience and comforts of modern rail travel. Each car has a center aisle with two adjustable seats and a wide window on each side. The seating area provides convenient access to the souvenir and café cars. Tourist Class tickets are $145 each. All rail cars feature air conditioning, heat and rest rooms. For those wishing to eat on the train to provide more time for sightseeing, an optional Gourmet Boxed Lunch will be offered. Delivered to your seat, the $15 meal will be served in a souvenir lunch tote, including chicken salad on a croissant, pasta salad, fresh fruit, homemade pound cake and a drink. This option is only available in advance and can be purchased with your ticket. Tickets will be available online now. Simply log on to www.nctrans.org and click the available links or call 704-636-2889. 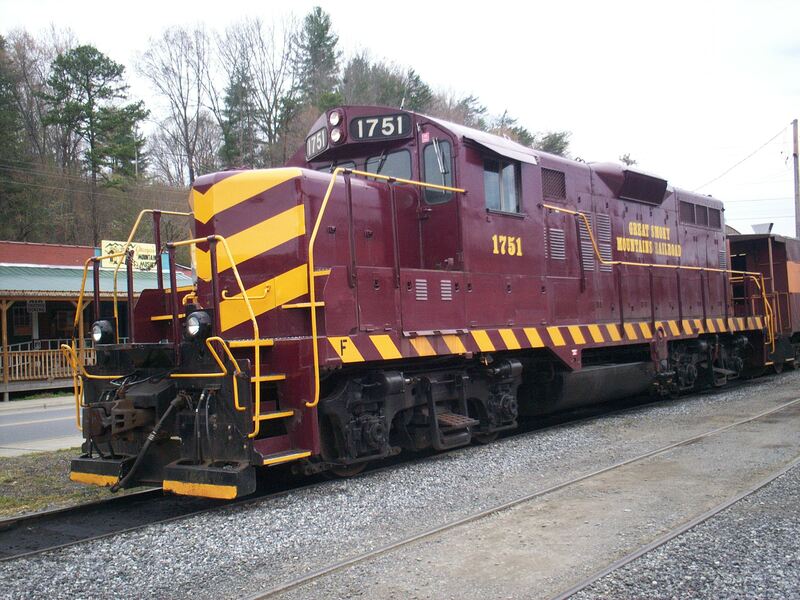 The N.C. Transportation Museum, located in historic Spencer Shops, the former Southern Railway repair facility is located just five minutes off I-85 at Exit 79 in Spencer, N.C., and about an hour from Charlotte, Greensboro or Winston-Salem. The North Carolina Transportation Museum and the Watauga Valley Chapter of the National Railway Historical Society are both non profit organizations. Hi-Yo Silver! The Lone Ranger® to Make Appearance at the Great Smoky Mountains Railroad! America’s favorite legend brings law and order to the mountains of western North Carolina at the Great Smoky Mountains Railroad this June. The weekend special event will take place June 19 & 20, 2010 at the Great Smoky Mountain Railroad’s Bryson City Depot. During the ride, The Lone Ranger® and his faithful companion Tonto will save the train from outlaws who intend to rob the baggage car that is carrying a shipment of gold! 2008 marked the 75th Anniversary of The Lone Ranger. Come meet the masked rider and Tonto, experiencing a full day of fun! There will be an array of cowboy and western activities at the depot for people of all ages. Enjoy live musical entertainment, old west cowboy roping demonstrations, games, original episodes of The Lone Ranger playing in the theatre, a Lone Ranger look-a-like contest and much more! are $29.00. For more information and reservations please call 800-872-4681 or WWW.GSMR.COM. Admission to the Smoky Mountain Trains Museum is included with ticket purchase. Without tickets, admission to the museum is $9 for adults and $5 for children. Great Smoky Mountains Railroad is a proud member of the American Heritage Railways family. Visit our sister railroads in southwest Colorado at the Durango & Silverton Narrow Gauge Railroad and in east Texas at the Texas State Railroad. hearts and imaginations of generations of fans. For more than seven decades, The Lone Ranger has been the star of more than 3,000 radio shows, 220 classic TV episodes, three feature films, and hundreds of comic books. 2008 marked the 75th anniversary of The Lone Ranger. © Classic Media, Inc. THE LONE RANGER and associated character names, images and other indicia are trademarks of and copyrighted by Classic Media Inc. All Rights Reserved. About the Great Smoky Mountains Railroad With 53 miles of track, 2 tunnels and 25 bridges, the Great Smoky Mountains Railroad offers a variety of excursions that explore the amazing landscape of western North Carolina. With the romance and mystique of an era gone by, guests on-board the Great Smoky Mountains Railroad will enjoy scenic train journeys across fertile valleys and through river gorges in a spectacular region near The Great Smoky Mountains. SPENCER — The Robert Julian Roundhouse and Turntable are probably the most popular attractions at the N.C. Transportation Museum and on Saturday they were designated a historic mechanical engineering landmark. The American Society of Mechanical Engineers (ASME) presented the distinction to the museum at a ceremony during the Spring Kick Off event. The Spring Kick Off featured a host of activities such as rides on the Flagg 75 Steam Engine, live music, the museum’s regular passenger train, miniature golf and others. The Spencer facility is one of the few remaining early 20th century railroad locomotive repair shops in the U.S. It was built by Southern Railway in 1924 to repair steam locomotives. The roundhouse and turntable were modified and expanded from 1948 to 1950 to accommodate Southern Railways diesel engines. In 1979, the complex was donated to the state. In 1996, the roundhouse and turntable were refurbished and opened to the public. The designation is to recognize the contribution of the roundhouse and turntable to the “progress of American railroading and evolution of mechanical engineering,” said Mark Brown, the museum’s information and communication specialist. Tweetsie: Opening Day is April 29th! Tweetsie Railroad is proud to operate two vintage steam locomotives: the #12 “Tweetsie” and the #190 “Yukon Queen”. When you visit Tweetsie Railroad during the operating season, the train will be pulled by one of these historic engines. Locomotive #12 is the last surviving narrow-gauge steam locomotive of the East Tennessee and Western North Carolina Railroad (ET&WNC), which ran train service from Johnson City TN to Boone NC from 1919 to 1940. 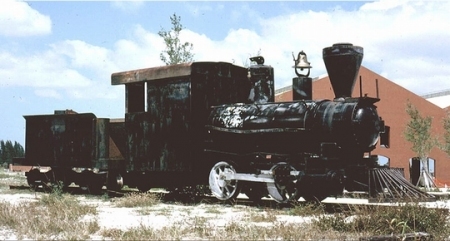 When the Tweetsie Railroad theme park opened in 1957, this was our sole locomotive. In 1960, Tweetsie Railroad acquired another steam locomotive, the #190 “Yukon Queen” from Alaska’s White Pass & Yukon Railway. Both locomotives are coal-fired narrow-gauge engines, built by the Baldwin Locomotive Works in Philadelphia. #12 was completed in 1917, and #190 in 1943. Before entering service at Tweetsie Railroad, the locomotives were put into operating condition by veteran engineer Frank Coffey, who trained new generations in Tweetsie’s on-site steam train repair shop. 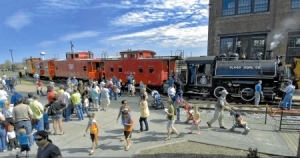 The N.C. Transportation Museum’s 2011 Family Rail Days Festival, scheduled June 11 and 12, will celebrate the golden age of railroading and offer something for every member of the family. Featuring historic locomotives and rail cars displayed alongside modern rail equipment, the event will give visitors a chance to enjoy train rides, great music, model train layouts. The Reynolda House Museum of American Art presents Trains that Passed in the Night: The Photographs of O. Winston Link on view February 19—June 19, 2011. O. Winston Link’s haunting black-and-white photographs from the 1950s depict the end of the era of steam railroading in the United States and the rural landscapes of Virginia and North Carolina that these last trains passed through. Link’s evocative nocturnal images are at once highly staged technical feats, nostalgic representations of a disappearing way of life, and beautifully strange works of art produced during the era of film noir. 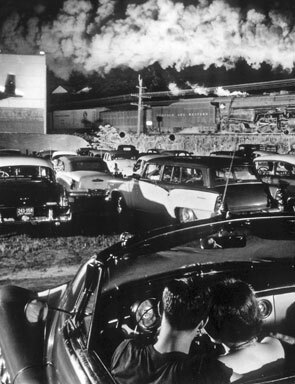 Link, a commercial photographer in New York City, made more than twenty trips to Virginia, West Virginia, and North Carolina between 1955 and 1960 to photograph the Norfolk & Western Railway. His photographs convey an eerie sense of absence, representing the vanishing “species” of the steam locomotive. But the images, which often include railroad workers or local residents, are also imbued with a deep humanity, a reminder of the complicated relationship between man and machine. Link’s achievements have received international recognition and his photographs can be found in the nation’s premier museum collections, including the Museum of Modern Art, the J. Paul Getty Museum, the Metropolitan Museum of Art, and the Los Angeles County Museum of Art. In 2004, the O. Winston Link Museum opened in Roanoke, Virginia. Trains that Passed in the Night is drawn from the collection of Link’s former assistant and agent Thomas Garver and is circulated by the Center for Railroad Photography & Art. The exhibition is comprised of fifty black-and-white gelatin silver photographs printed and signed during O. Winston Link’s lifetime. Reynolda’s installation of the exhibition will include text by experts on photography, railroad history, film, and contemporary art, and a multi-media section featuring train films and sounds. So, it seems The Daniel Boone Railroad and theme park in Hillsborough is fondly remembered by many. These posts continue to be some of the most popular. Recently, I received a note from someone we’ll call “Camo” and he shares the same memories I do. The difference: he’s been to what’s left of the park several times and sent me some pictures. I asked Camo if he’d write up a guest blog post and agreed. Enjoy! Growing up in NC in the late sixties and seventies offered many distinct advantages, especially if one were an only child. I was fortunate enough to be on the receiving end of hand me downs from older cousins. Often these cast offs were in the form of Western toys such as Johnny West. These toys were usually broken or incomplete, but I didn’t mind because I was thrilled just to have them! To augment the toys of the time, Western theme parks were popular places of amusement. Because of a near catastrophe my family experienced while leaving Beech Mountain (the brakes on my dads Oldsmobile overheated coming down the mountain, a runaway truck ramp saving our lives), those beautiful mountains and their attractions like Tweetsie became off limits due to the fear of a similar mishap occurring again. Fortunately for me, the historic town of Hillsborough was only a few safe miles away. The Western theme park there was known then as “Daniel Boone Country”. Similar to Tweetsie, it offered a train, costumed cowboys and indians, rides and shows, all set in a Western pioneer village. I first visited there when I was approximately five years old and while I do remember visiting the park on more than one occasion, the details have been lost to time. However, I do remember riding the train and the smell of the black smoke. When Indians attacked along a wooded portion of the track, I became frightened, believing that the attack was real! One of the actors made up as an Indian sat down in the seat in front of my dad and I and calmed my fears, reassuring me that it was all make believe for fun. By all accounts, it was a magical place. By the time I had graduated high school, the park had sold their train (to Carowinds) and was on its way to becoming defunct. Last summer my wife and I invited my father to join us on our vacation to visit the USS North Carolina in Wilmington. On the way home, my father spotted the exit sign for Hillsborough and asked if I remembered going there as a kid. Of course I did, so we agreed to go back there together. We made that trip a couple of weeks ago. Very few traces remain of the old park. There are two cabooses being used as rental space for antique shops, and an old passenger car complete with graffiti that sits on a small slice of track under a lean-to. A lot of the old Western style store fronts remain, their weathered paint and abandoned appearance creating the atmosphere of a ghost town. The old Blacksmith shop still stands, complete with hand painted lettering, even though it now serves as a junk shed. Beside the “Antique Mall”, is a storage area where one can find wagons and antique farm equipment rotting in the open. A few feet up the hill stands a dilapidated barn that contains the Daniel Boone stage coach. Another barn on the premises houses more wagons, antique trucks complete with bullet holes and hand painted signs (by Apache Joe?). At least Daniel, a twenty foot tall “muffler man” type figure still stands. A similar Indian figure that once adorned the roof of the steakhouse across the street has vanished. If one cares to look, one can still find traces of the park in the form of waterwheels (pan for gold attractions? ), a miniature covered bridge and a weather vane (part of the old train depot? ), but these sights are disappearing daily. An old kiddies’ ride that I saw on a earlier visit, rotting away amongst some weeds, had been cleared away when I returned with my camera (see link for pics). I just got the feeling that whoever owns the park may now be clearing out some of the old left over’s because the gates to the barns were open and the area where that kiddie ride had been was open after previously being cordoned off. I did make a brief attempt to find old track, but that area is now a trailer park, and I did not want to arouse the suspicion of any tenants by poking around in their backyards. I would urge anyone interested in seeing what is left of the park to make the trip post haste. In these economic times, who knows what the current owner may have in mind for the property. Being an amateur singer/songwriter, my visit inspired me to write a new song about the old park. As soon as it is finished, I will post a link. Thank you all for your interest. VIEW PHOTOS OF THE DANIEL BOONE RAILROAD & THEME PARK!